Decks provide comfort, style, and function to any home. They are great investments. A new wood deck is an outdoor feature that will add value to your home’s resale value because they appeal to buyers, according to the National Association of Realtors’ 2018 Remodeling Impact Report. Size. The cost depends on the width and depth of the project. While a deck with a smaller area will generally cost less, the material used per square foot will matter. Material. What will you use for your deck: wood, redwood, composite, or aluminum? Style. How do you want your deck to look? Simple, elegant, shaded with pergola, the list goes on. Add-ons. What goes into your deck? Which railings fit your design? Any features that you want to add? Your deck, depending on its elevation, might or might not require a permit. Aside from the permit requirement, decks must also comply with relevant building codes to ensure they are safe for everyone to enjoy and use. While there are homeowners who do the work themselves to save costs, opting for DIYs, this route should only be taken by those who are experienced builders. To save you a lot of time and trouble, it’s smart to have licensed local contractors do the deck project for you. They know how to make standard-compliant decks complete with services for repair and maintenance. Weather and time contribute to the natural wear and tear of decks. Depending on the material, the elements can damage your deck and affect the integrity of the structure. So, here are two things that you must keep in mind to ensure your deck remains in tip-top condition for your safety and peace of mind. Water is probably your deck’s number one enemy, especially if it is wood. It is recommended that you waterproof your deck. Waterproofing is one of the best precautionary measures against defects caused by water leaks or seepage. Don’t underestimate water damage as it might be doing serious harm to the structure without you knowing it. It’s always better to be safe than sorry. Have deck inspectors regularly check your deck for any re-sealing and important work that needs to be done. Damage to any of these parts of your deck might cause accidents or pose bodily harm to you or your loved ones. – beams: they carry the load of the deck from the floor joists to the posts and concrete footings. – stairs: every component matters from the treads to the fasteners. – posts: they support the deck and it’s important to check for any cracks or rotten parts. On the surface, your deck might look all good but there is more than meets the eye. 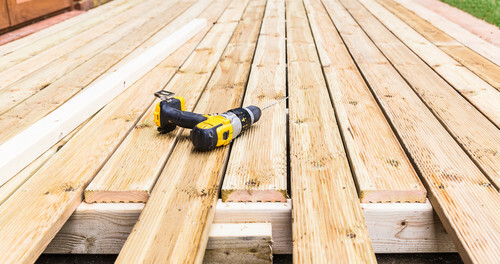 Aside from the beauty and aesthetics of the place, be sure you are doing the proper repair and maintenance required to make sure your deck is in good working condition.